Winter is fun for a bit but as Spring starts officially, we start longing for its blooms… In the North East, we have to be patient so we had a great time shooting our Spring photo-shoot and play “pretend it’s Spring”. 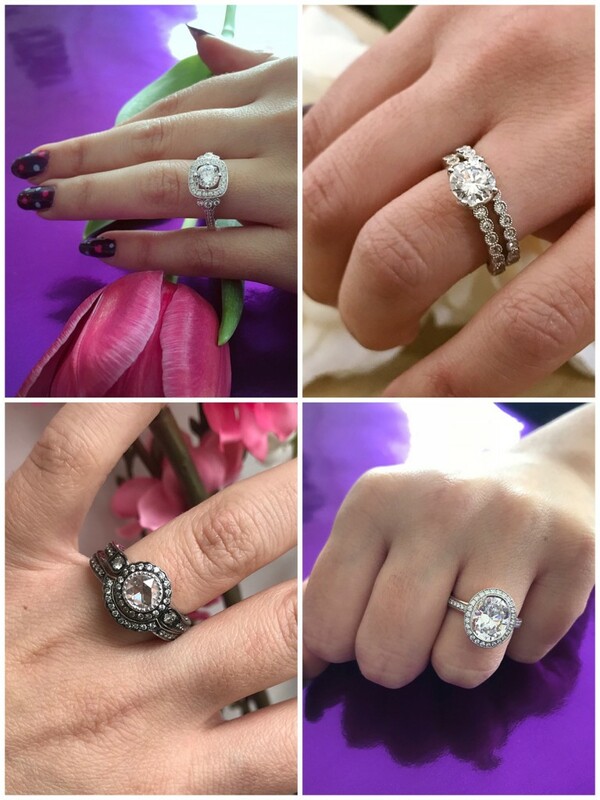 We are still posting stacking videos and stills of the beautiful rings we were able to photograph on the Gram, make sure you don’t miss them. Here are some highlights. Engagement rings (top to bottom , let to right) by Ancora Design, Parade Design, Sethi Couture and Mark Patterson. Despite the weather and a sprained ankle, I stepped out of the house to visit some designers and shows. I finally met Catherine Angiel in person and visited her lovely West Village store. Her collection includes rock and roll and gothic pieces but is mostly romantic with a vintage vibe. Here is my current favorite Catherine Angiel ring, a one of a kind grey diamond set inverted (upside down) in her signature setting with fleur de lis accents. 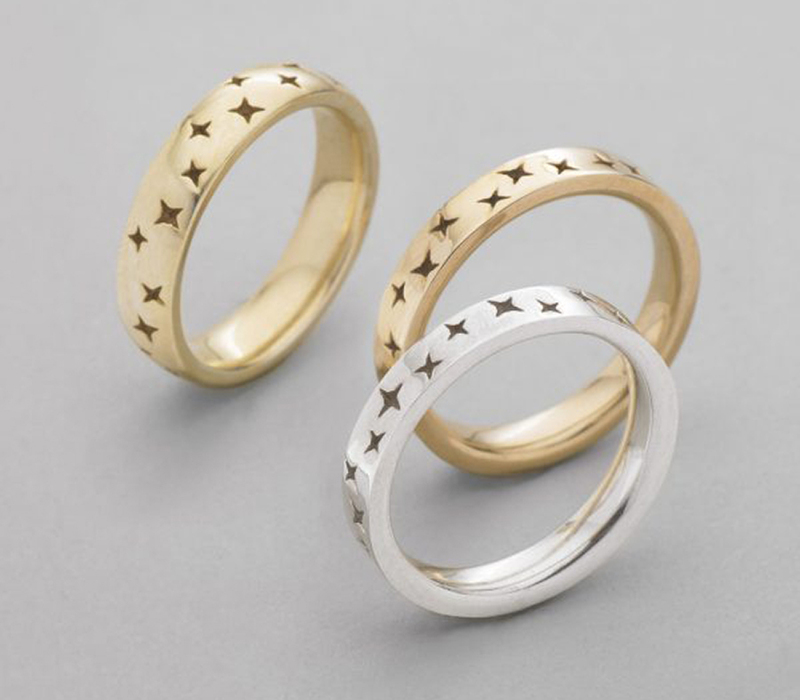 I made sure to stop at the JA Show and was delighted to see that Christine Huber had designed some whimsical wedding bands featuring stars. 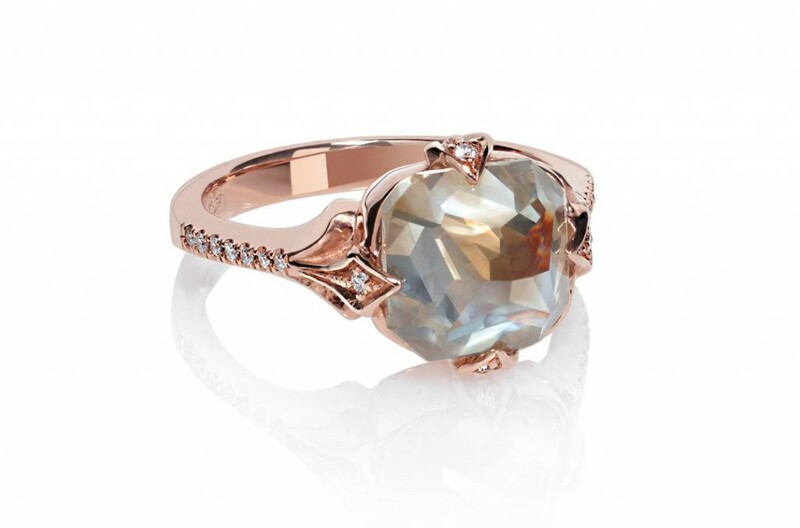 They are part of her Voyage Collection and I can only hope for engagement rings to be added soon. 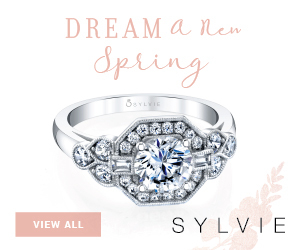 I love celestial jewelry. Also at the JA Show, I met emerging designer Lulu & Shay They have a great selection of unconventional wedding rings made with recycled metal. My favorite ring, and that of lots of editors’ because it’s so neat, is their Loved swivel band. 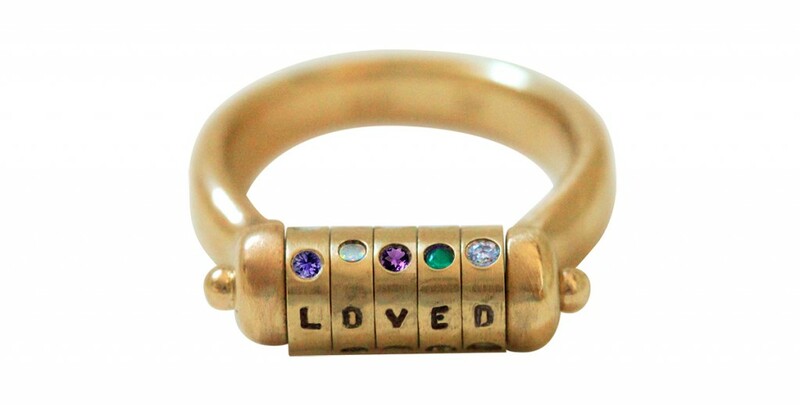 5 disks rotate spelling Loved with letters and with gemstones (Lavender sapphires, Opals, Violet Amethysts, Emeralds and Diamonds) . Soulbound is another emerging brand discovered at the JA Show. The designer Kelly is inspired by her passion for vintage video games and pixels. 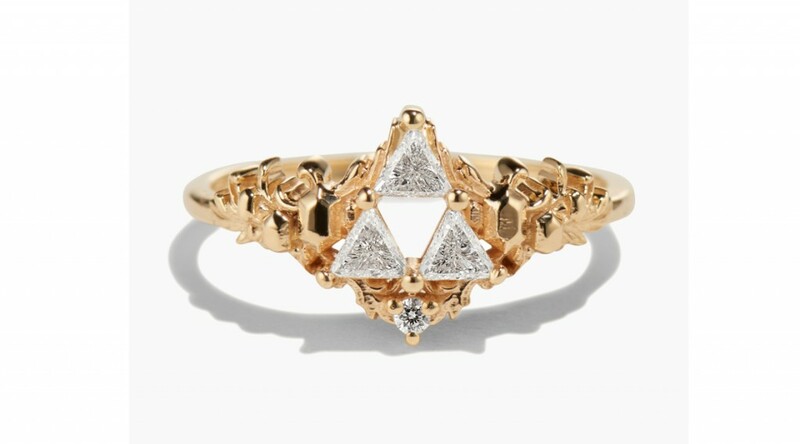 The Goddess relic ring pictured above is inspired by a sacred relic from the Legend of Zelda. It is very intriguing to me since I am a non-gamer and so pretty. 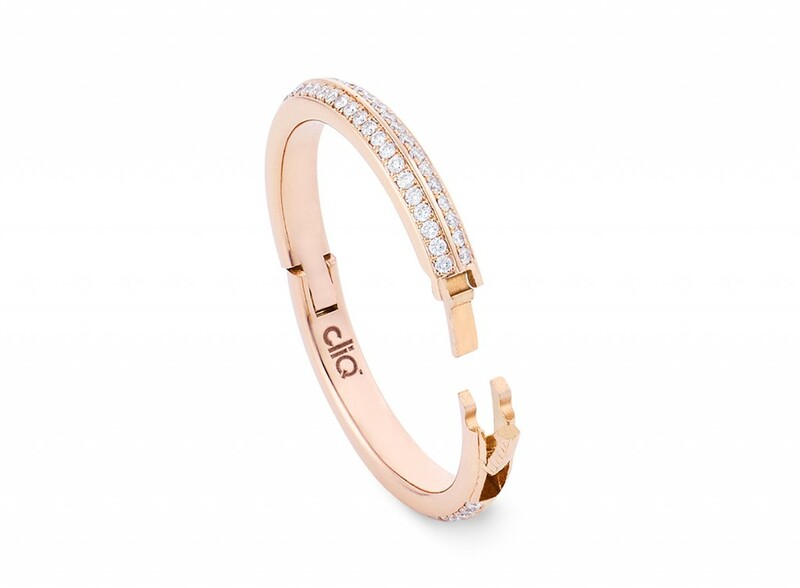 So long Superfit, hello Cliq Jewelry . 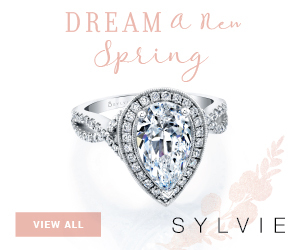 Just a name change for this collection of rings that click so they can fit better on the finger. 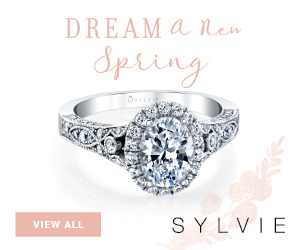 This patented system can also be added to any engagement ring as it is the most seamless way to prevent it from turning all the time. 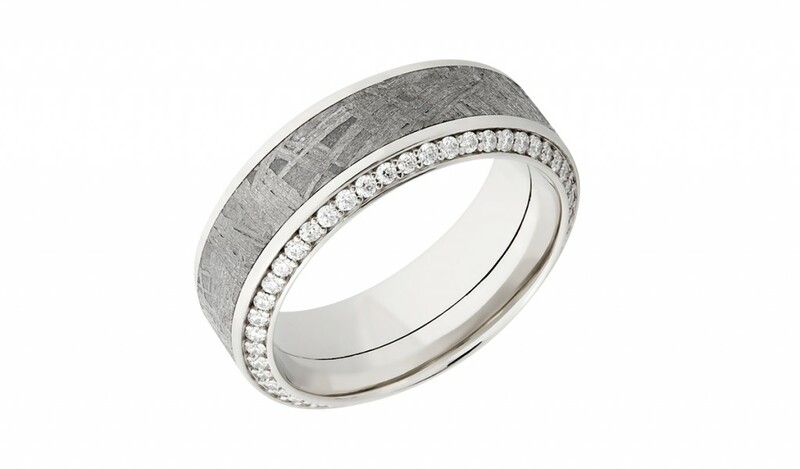 Lashbrook Designs is one of the leading manufacturers of men wedding bands. 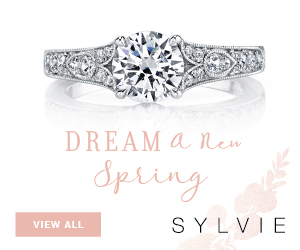 They have just updated their site to allow you to customize your guy’s band or mangagement ring online. Chose a style, metal, design accents and gemstones to make his ring as unique as he is. Ashley Zhang has being using our hashtag on Instagram which is how I discovered her. I attended her first press presentation and the rings look even better in person. The line is a mix of new styles with a retro feel and antique pieces. 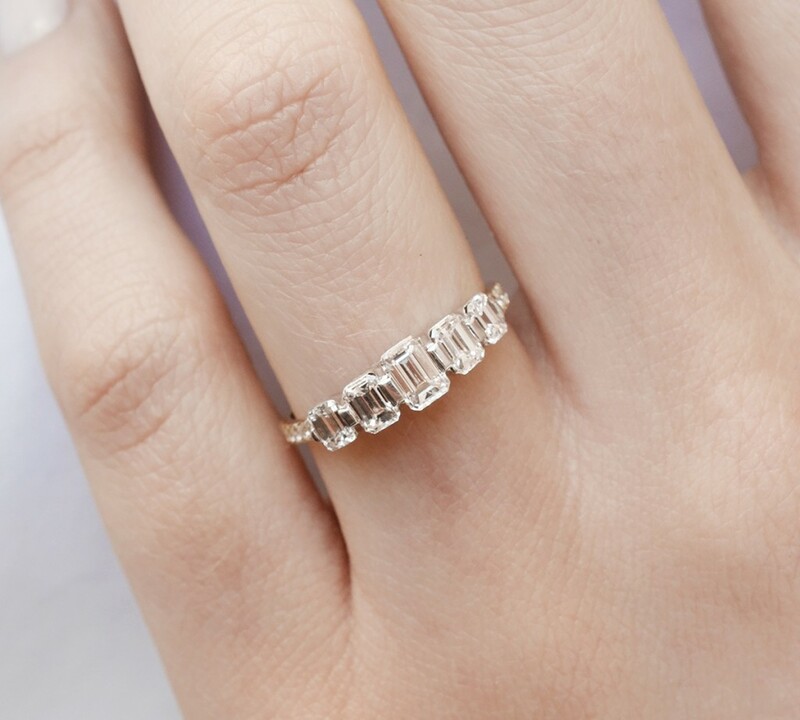 It was hard to pick a favorite but I think the way the emerald cut diamonds are set on this band is beautiful and could be a great alternative to a single stone engagement ring . Last but not the least, my bespoke Julie Lamb engagement ring is shaping up to be gorgeous! I finally got to see the diamond that Miadonna grew and cut specifically for me. After sketches and Computer Aided Graphics (CAD) I was able to try on a rendition of my ring in wax. Check out the video for more details and needless to say I can’t wait to see the real thing soon!